Shown (from left) are the fourth and third generation leaders of The DeMatteis Organization: Michael, Scott, Richard and Alex DeMatteis. Elmont, NY Now in its milestone 100th year of operation as a continuously family-run construction and real estate development business, The DeMatteis Organization’s success can be attributed to the enduring vision of its founder, Leon D. DeMatteis, a mason from Italy. In 1918, he emigrated to the U.S. and opened his contracting business in Brooklyn. 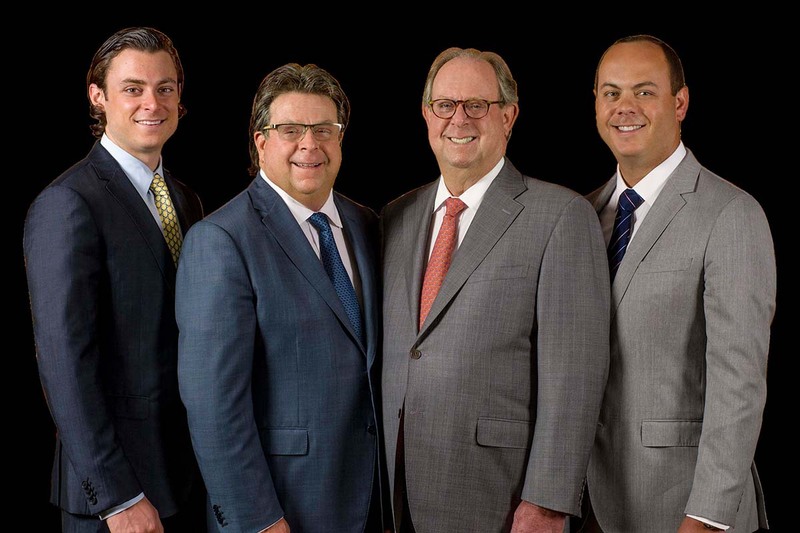 Over the years, The DeMatteis Organization has grown to incorporate virtually every facet of commercial real estate from development and construction management to design/build and property management, and still their patriarch’s core beliefs survive: build with vision, innovation and integrity. The difference is how things are handled at DeMatteis. Every endeavor, whether it’s a 50-story high-rise or a public works project, is orchestrated by just a handful of hands-on decision makers. Unlike most large construction companies, DeMatteis has only three trim layers of executive management which allows assessments to be made swiftly and effectively. DeMatteis is also frequently a stakeholder with a vested interest in many of the projects it handles either as the developer or an investment partner. So, decisions directly affect their bottom line as well. “We enjoy finding new solutions and looking at problems from outside the box,” said Scott DeMatteis. That attitude has led to many firsts. Innovation and the ability to adapt to the times have helped DeMatteis reach its landmark 100th year. When affordable housing was in demand, in the 60s, DeMatteis worked on the Mitchell-Lama projects and when the economy improved, in the 80s and 90s, the market turned to luxury apartments and DeMatteis developed and built luxury residential towers like The Savoy, Tribeca Tower and The Azure. During the post-WWII, suburban explosion, DeMatteis built schools on Long Island and today they are constructing 21st century green schools for the city of New York. “I remember when our father, Fred DeMatteis, used to look skyward and point out one building after another that he built. He’d say, with a real sense of satisfaction and pride, that he’d helped change the skyline of New York. It’s a feeling my brother and I proudly share to this day,” said Richard. One project that’s particularly near and dear to the DeMatteis family was the brainchild of the company’s second-generation leader, Fred DeMatteis. “Fred developed EAB Plaza together with our joint venture partner and primary tenant, European American Bank,” said Richard. “He wanted to bring class A office space to Long Island and to build a Rockefeller-Center-type community facility with a public atrium, skating rink and annual tree lighting,” said Scott. To this day, it remains premiere office space and an iconic property. DeMatteis has taken on a wide range of private- and public-works projects including several hospital renovations, the master plan for St. John’s University, and naval housing at Fort Wadsworth. They also rebuilt the Brooklyn Botanical Garden Conservatory and Palm House complex. In early 2000, DeMatteis developed and built Chelsea Tower, 33 stories of luxury rentals, and South Cove Plaza in Battery Park City. More recently, the firm completed the 425,000 s/f New Manhattan Community District’s 1/2/5 Garage for the New York Department of Sanitation which achieved LEED Gold certification. DeMatteis is implementing the use of building information modeling (BIM) in the construction of complex endeavors like the South Beach Psychiatric Center, a LEED Silver project on Staten Island. The original facility was flooded during Superstorm Sandy. The new 232,000 s/f facility incorporates mechanisms that will help prevent flooding in the future. The company is also actively building, renovating and expanding schools for the New York City School Construction Authority (NYCSCA) under the NYC Green School Guide parameters. “We currently have eight projects underway in various stages of construction in New York City’s five boroughs,” says VP Alex DeMatteis, fourth-generation.